High grade glass fiber reinforced plastic fiber+Pure manual polishing'Coupled withThree primer+Two top coat,Make sure the model is clean and smooth. Seiko secret agents, demanding pursuit, each with strong visual impact. If it is only a minor scratch on the surface, does not affect the use of the effect, we will only send the paint to repair. This form is trusted by thousands of professionals and time-tested to last. The black cast iron base has wheels so the form is easily movable. The form shape has a realistic buttocks and a natural body shape that is trusted by the biggest fashion names in the world. hair color black, brown, any other color is available to produce able to styled per your need like cutted, permed, curled, straightened, etc. with rich experience & advanced and mature workmanship, we could make exquisite hair product and handle any complicated varieties. 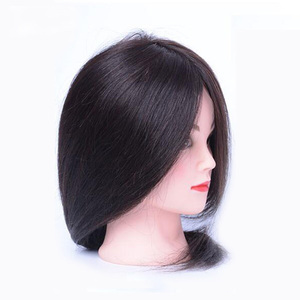 Outer packing: heavy carboard carton(use wooden to fasten the carton) Function characteristics of hairdressing training heads: Function: Our mannequin are all perfect for displaying clothing. 2) Our Specialists are amending the hairdressing training heads according to customers' design; 3) We use appropriative mastic to sculpture hairdressing training heads and make the hairdressing training heads more better and smooth. 4)We have many different hairdressing training heads, we can produce u the most suitable hairdressing training heads 5)All of the hairdressing training heads are top quality . is established in Guangzhou,China,mainly specialized in supplying shop fittings accessories for shopping mall and exhibition center. Here we offer a comprehensive range of packaging and display items that can be purchased in small volumes at very competitive prices. Our company aims to create a complete one-stop service, in order to adhere to the needs of traders, importers and exporters. 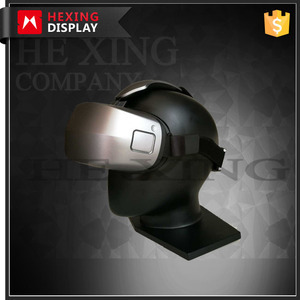 Quanzhou Hexing Display Products Co., Ltd.
abstract stand female manequin with sculptured hair item no. for the mannequins damaged due to our quality problem, we make replacement in your next order. thank you so much for seeing our products . ), or send us one original sample. 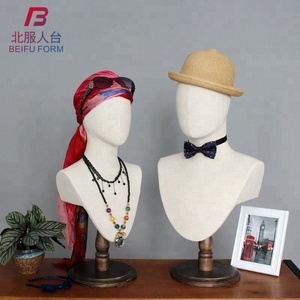 Outer packing: heavy carboard carton(use wooden to fasten the carton) Function characteristics of male mannequin head with beard: Function: Our mannequin are all perfect for displaying clothing. 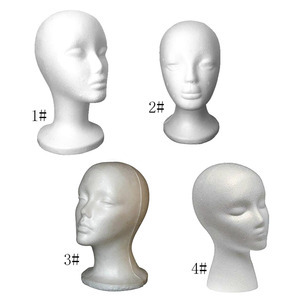 2) Our Specialists are amending the male mannequin head with beard according to customers' design; 3) We use appropriative mastic to sculpture male mannequin head with beard and make the male mannequin head with beard more better and smooth. 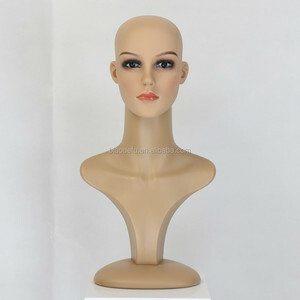 4)We have many different male mannequin head with beard, we can produce u the most suitable male mannequin head with beard 5)All of the male mannequin head with beard are top quality . 2. Perfect design ,Various kinds of hanger ,Multiple choice for customers. 5.near the port Ningbo ,and yiwu international airport . 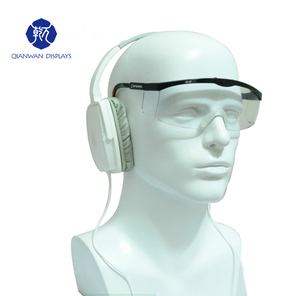 6.we have the experienced R&D person ,open the mould is very convenient. 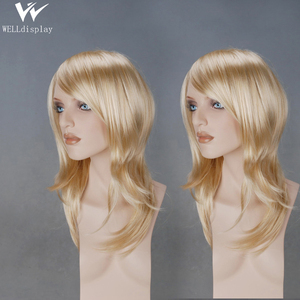 we specialize in manufacturing all kinds of mannequins, display shelves, fashion hanger , and pop display . 'promote fashion, develop culture' is our constant belief. we are located in quanzhou, fujian province,with convenient transportationaccess. 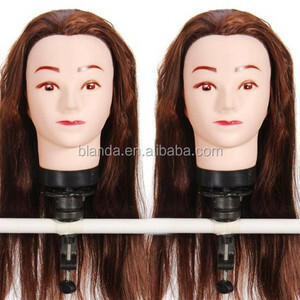 usage clothes ,pants ,hat ,galsses ,skirt window display remark comes with base and metal calf support rod. 5.Logo could be printed or engraved on the base 6.Packing details: first packed by EPE for each part,and then in standard export carton. Accessory of mannequins : There are 3 parts for the base and two ways of assembling mannequins 1.To assemble the 1st tube on the 3rd base to support the bottom feet. 2.To assemble the 2nd tube on the 1st tube and then assemble on the 3rd base,which is to support the back feet and could wear shoes .